This is my favorite picture I have ever taken. When I was a sophomore in college I had the opportunity to take a weekend trip to Washington DC for a mere 50 dollars. DC is one of my favorite places to visit, especially during the Cherry Blossom festival. The happy spring energy juxtaposed with the historical and military monuments is magical, not to mention all the free museums. My boyfriend at the time had acquired a couple packs of expired Polaroid film so we used most of it on the trip. The pictures came out so eerie and beautiful. 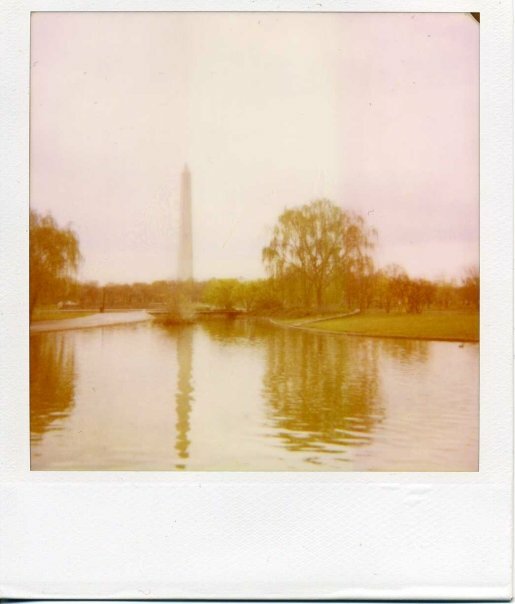 This shot is of the Washington Monument, but I love the willow tree and the shape of the pond. It evokes such a fantasy land in my mind and I love looking at it. What are some of your favorite images? I'd love to see them.